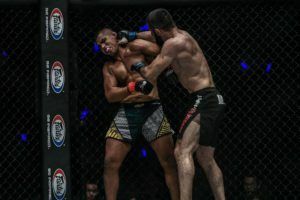 A new welterweight title contender may have just emerged in Kyrgyzstan native Kiamrian Abbasov after he just dismantled Agilan Thani in front of his home audience in Malaysia on Friday. 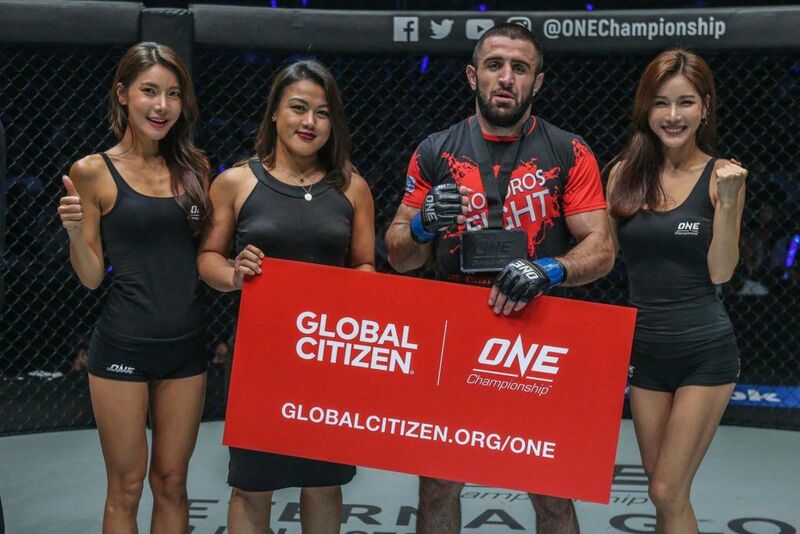 With new champion Zebaztian Kadestam anxiously awaiting his first title defense, the 25-year old Abbasov had a lackluster showing in his ONE Championship debut but more than made up for it with his performance on Friday at ONE: ‘Destiny of Champions’. Immediately after the fighters were released from their corners, Abbasov was on the attack, launching huge bombs at Thani, who seemed overwhelmed from the start. Thani tried desperately to sink in his underhooks to try and drag the fight to the mat but instead it was Abbasov who reversed positions, got the body lock and launched the Malaysian into the air before bringing him crashing back down to the mat again. Abbasov never gave Thani any chance to catch his breath as he just continued to pour on the offense with a series of slams and then blasting away at his opponent on the feet when he finally let him go. With Thani still trying to get his bearings, Abbasov landed another huge takedown and this time immediately moved to take the back and lock on the rear naked choke submission. Thani was trapped almost immediately and while he tried to resist, he was ultimately forced to tap out with the end coming at just 2:35 into the opening round. It was as lopsided as a fight could get with the Malaysian crowd left in a stunned silence with Abbasov (20-4) finishing Thani (8-3) in less than three minutes. The win obviously puts Abbasov on a short list of potential contenders who could challenge Kadestam in the New Year. 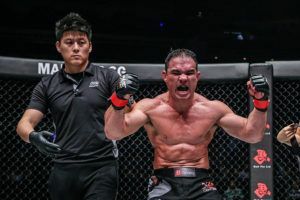 ONE Championship has continued to add new welterweights in the second half of 2018 but Abbasov had arguably the strongest showing out of anybody these past few shows and there’s little chance Kadestam didn’t take notice. It will be interesting to see what ONE decides to do next after such a strong outing from Abbasov on Friday. 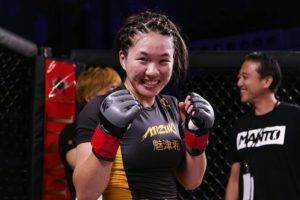 20-year old prospect Jihin Radzuan remained undefeated in her young career after a thrilling war with Jenny Huang in atomweight action on the main card. 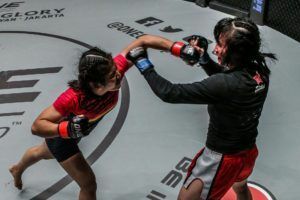 With 20 Muay Thai and kickboxing fights on her record, Radzuan was more than happy to trade hands with Huang over all three rounds as she came out swinging with powerful combinations in every exchange. Meanwhile, Huang was obviously more interested in a ground battle where she was constantly trying to threaten with submissions but she just couldn’t maintain control of Radzuan on the mat. In return, Radzuan (4-0) was constantly attacking whether on the feet or on the ground as she unleashed a potent offensive onslaught. 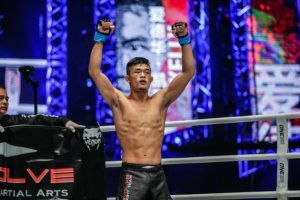 By the time the final bell rang, Huang (5-4) was left bloody and battered while Radzuan was smiling from ear to ear. The judges all agreed with Radzuan earning the unanimous decision to move to 4-0 in her professional career. 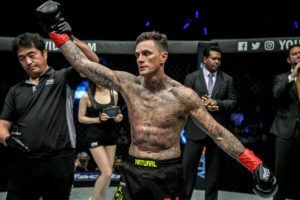 Three of those wins have come in ONE Championship during 2018 to make it quite a year for Radzuan. While she’s barely 20 years old, the Malaysian fighter is quickly becoming one of the most talked about prospects in the ONE atomweight division. Radzuan has all the makings of a future title contender based on her early returns and it’s likely ONE will keep her very busy next year. Former ONE middleweight champion Vitaly Bigdash finally got back on track following two losses in a row while pulling off one of the most unique submission finishes in recent memory. 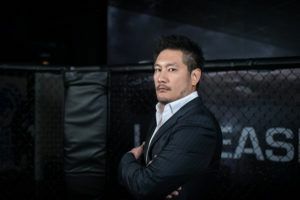 Yuki Niimura, a former Pancrase champion who was making his ONE debut, managed to land a pair of blistering leg kicks as soon as the fight got started but that led to Bigdash diving for the legs to get the takedown less than 10 seconds into the round. From there, Bigdash peppered away at Niimura with punches from inside the guard until he finally decided to stand up to rain down some bigger shots from the top. Niimura saw the opening to attempt to get back to his feet but instead he found Bigdash jumping on his back before transitioning into a reverse triangle position. Bigdash locked on the submission while hammering away at the former Pancrase champion, which opened up a cut on his face and the blood started to stream immediately. 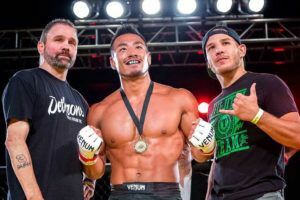 While it looked like Bigdash might get the finish from there, Niimura did everything possible to hold onto the final bell. That’s when the Russian broke apart the grip of Niimure (12-5) to latch onto his arm and once the submission was in place, the tap came a second later. The end came at 4:24 into the opening round with the official finish called a reverse triangle-shoulder lock. 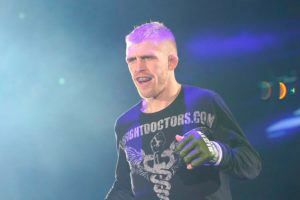 Whatever you call the submission, Bigdash (10-2) looked impressive in getting the job done in a must win fight for the former champion as he jumps back into the contender’s race in the ONE middleweight division. 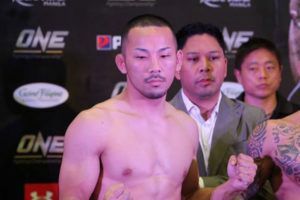 Yosuke Saruta kicked off the mixed martial arts portion of the card from Malaysia by handing former ONE strawweight champion Alex Silva a loss by unanimous decision. 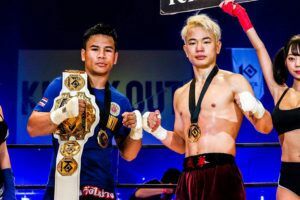 In a back and forth affair over all three rounds, Saruta was able to edge out the Brazilian after the two fighters exchanged on the feet and on the ground. Silva tried to pull off a last second finish late in the third round when he nearly latched onto an arm bar from the bottom after Saruta had taken him to the mat. Unfortunately for Silva (7-3), time ran out and the judges ultimately sided with the former Shooto champion as Saruta (18-8-3) immediately becomes a contender in the ONE strawweight division.